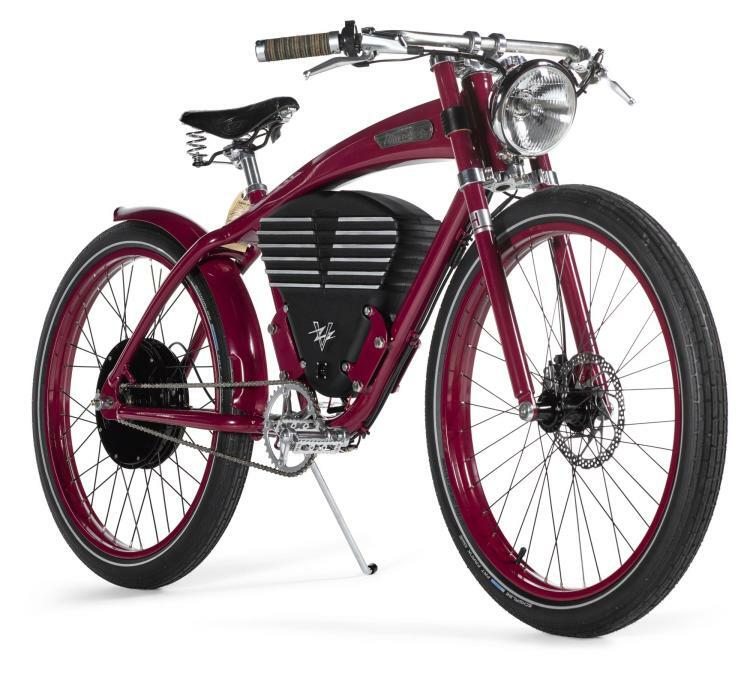 Description: In keeping with the theme 'Huntsman, contemporary since 1849', what better way to modernise heritage than by creating a bespoke electric bicycle with a vintage aesthetic? Working with the team at Vintage Electric, Huntsman has designed this Etracker in custom Huntsman claret, further enhancing the timeless design with a Brooks saddle. The Etracker leads the industry with a top speed of 36 mph in race mode. Regenerative braking coupled with Shimano Alfine hydraulic disc brakes provides riders with stop-on-a-dime control.